NGO PROOF’s Darfur project: history, photography from photojournalists documenting the war and genocide, and our book and exhibit that traveled around the US. The first genocide of the 21st century began in one of the most remote places in Africa — Darfur, a region in the largest African country, Sudan. In February 2003, the storm of violence went virtually unnoticed by those outside of the region. No one came to the rescue, and in two years, 400,000 people died from violence, disease, and malnutrition. 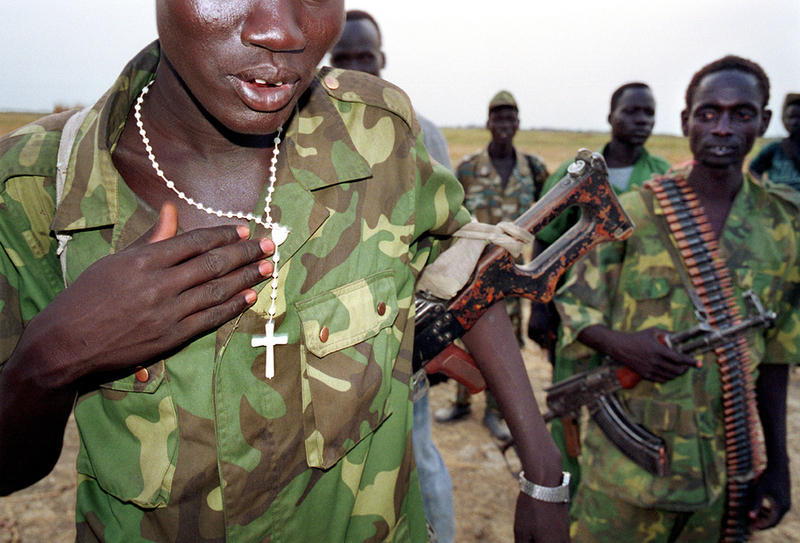 In July 2004, the U.S. Senate and House of Representatives adopted a joint resolution declaring the atrocities occurring in Sudan to be genocide. With the official declaration of genocide, the U.N.'s 1948 Convention on the Prevention and Punishment on the Crime of Genocide finally gave rise to a call for participating countries to take steps to prevent barbaric acts. PROOF: Media for Social Justice teamed with a group of eight internationally renowned photographers to compile a book of photographs and essays called "Darfur: Twenty Years of War and Genocide in Sudan." This book traces the conflict through visual dialogue to commemorate those whose lives were lost as well as honor those who have survived. It gives a realistic depiction of the atrocities committed in Darfur through stirring photographs, powerful essays, and appalling testimonies. 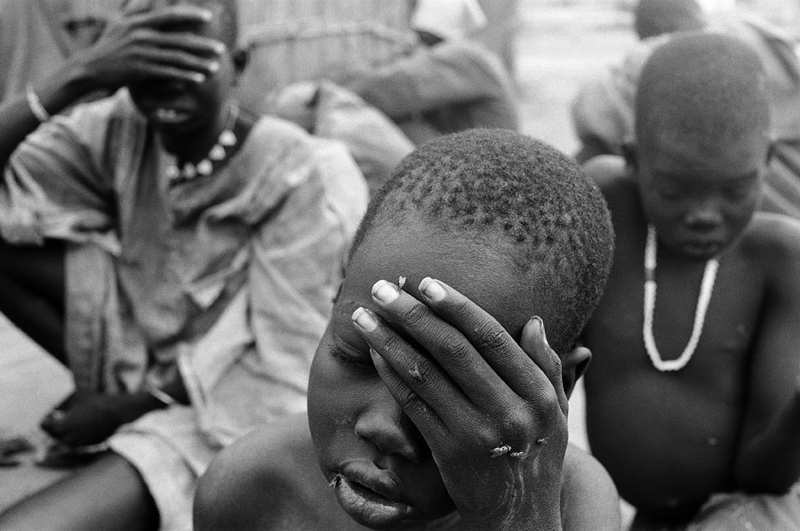 The suffering human faces sought to inspire compassion from the public to take action against the violence in Darfur. PROOF partnered with The Holocaust Museum of Houston to create a beautiful but haunting exhibition that traveled to colleges, libraries, and other public spaces around the US, including the Boston Public Library and the University of New Hampshire. 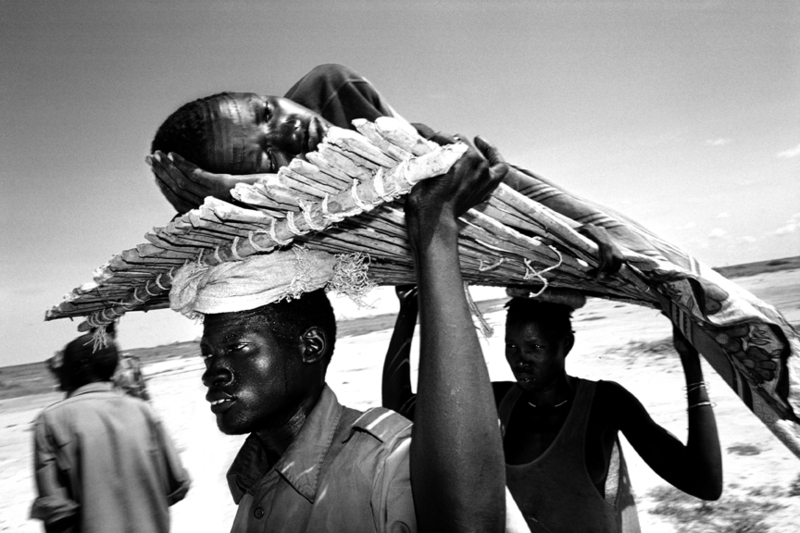 Called “Darfur: Photo Journalists Respond,” the exhibit featured 30 photographs of people impacted by the atrocities. These unforgettable images represented the reality of the genocide, informing viewers and inspiring them to take action against the violence. To spread the word further, PROOF worked with Amnesty International to create an educational plan that includes a curriculum for U.S. high schools. "Darfur: Photojournalists Respond" is available for hire. Contact PROOF today for more information about this exhibit, workshops and lectures and teachers' resources. For more detailed exhibit specifications and information on hiring the exhibit, click here (Holocaust Museum Houston). A wounded young girl waits for medical care near Tine, 3 February, 2004. Photo: Photo: Olivier Jobard/SIPA. Sudanese refugees arrive at a refugee camp on the edge of the Sudan-Chad border town of Tine, 4 February, 2004. Photo: JOBARD/SIPA. In 2005, Sudanese internally displaced civilians newly arrived to Zam Zam camp wait for food distribution outside of El Fascher, in North Darfur. 2005 - The village of Tama burning. Click here for more details on how to purchase this book, edited by PROOF Executive Director Leora Kahn.